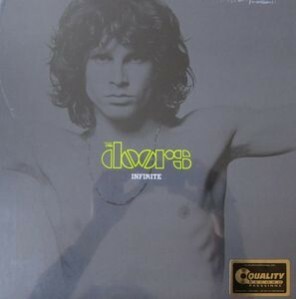 The Doors six Morrison-era albums, all 45 RPM double LPs, in a Box set, limited to 2,500 numbered copies each on 200-gram vinyl brought by Analogue Productions and Acoustic Sounds. All remastered from the original sources by Doug Sax and The Doors original engineer Bruce Botnick. LPs pressed at 45 RPM by Quality Record Pressings! Booklet included featuring 19 photographs and a 2,700-word essay by The Doors biographer Ben Fong-Torres, esteemed rock journalist and former Rolling Stone editor. All Packaged in a Textured, Slipcase Box of Only 2,500 Numbered Limited Edition Copies.